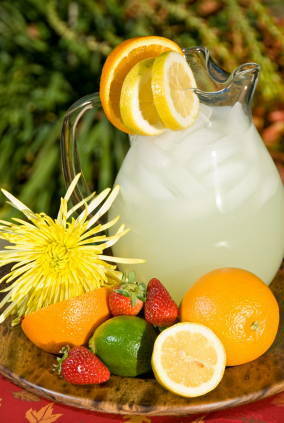 There’s nothing like a refreshing cup of lemonade on a hot summer day – ahhhhhhhh! Squeeze or extract the juice from the lemons. Mix all of the ingredients into a large pitcher. Decorate with a slice of orange or lime. Enjoy this refreshing drink of lemonade.